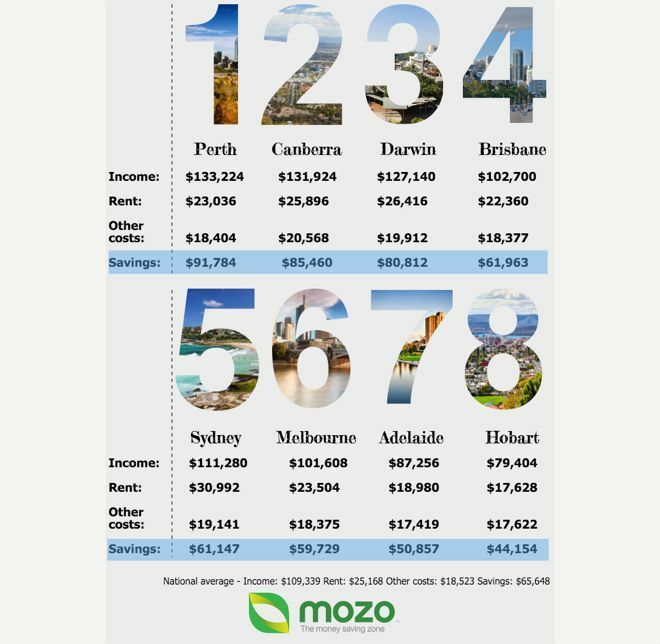 High income and lower than average rent prices saw Perth named as the best Australian city to save for a home loan deposit in recent research conducted by Mozo. The research took into consideration common expenses like utility bills, groceries, health and vehicle insurance, but bigger considerations of income and rent remained deciding factors in the ‘saveability’ of cities. 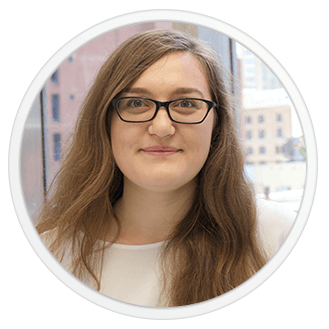 “West is definitely best when it comes to saving for a home deposit, with Perth benefitting from a combination of the highest household incomes and rent payments well below the national average,” says Mozo Director Kirsty Lamont. While Perth residents can celebrate, those in Hobart aren’t quite as well off. Although the Tasmanian capital enjoys the cheapest average rent of all the cities studied, it wound up at the bottom of the savings pile, feeling the sting of household incomes around $30,000 lower than the national average. Taking into account the median house prices in each city, the differences may not be as much of a hurdle for those saving for home loans as they seem. The average Perth property sells for $535,000, which means to have a 20% deposit for a home loan, Perth residents would need to save their pennies for approximately 1.16 years. In hobart, on the other hand, the median house price is just $392,000, and saving a 20% deposit would take 1.77 years. One surprising result was that Sydney ranked ahead of not only Hobart, but also Melbourne and Adelaide in terms of saving potential. While Melbourne and Adelaide both enjoyed significantly cheaper rent than Sydney, the latter pulled ahead thanks to a higher average income. Even so, when it comes to home loans, Sydney’s mid-range savings don’t match up to the over $1 million average house price. For Sydney dwellers, a 20% deposit would mean over 3 years worth of savings. After rent, the next biggest expense was found to be groceries, where Canberrans were hit hard. “When it comes to household expenses, Canberra has the dubious honour of being the most expensive city for groceries, water rates, and vehicle costs, as well as above-average rent,” said Lamont. How much do you have saved for a home loan deposit? Whatever your situation, check out our home loan comparison table to find yourself a great deal today. *Mozo analysed ABS data for average annual household income and factored in typical household expenses over one year, such as rent, energy, vehicle registration and insurance, accident and health insurance, food and non-alcoholic beverages and fuel, using data from the ABS, CoreLogic and Mozo. The savings are comparative only and do not include all expenses.